Each month, the PTO plans a Restaurant or Activity of the Month. This is where families and members of our community are invited to get together at a local restaurant for lunch or dinner, or at a local business to participate in activities such as ice skating, painting and more. While the Bennett-Hemenway PTO does make between 15-20% back on sales from these events, the purpose is more for community building than fundraising. Students are encouraged to wear their Ben-Hem colors and/or Spirit Wear to these events to show our community that we are proud of our school. GO BOBCATS! 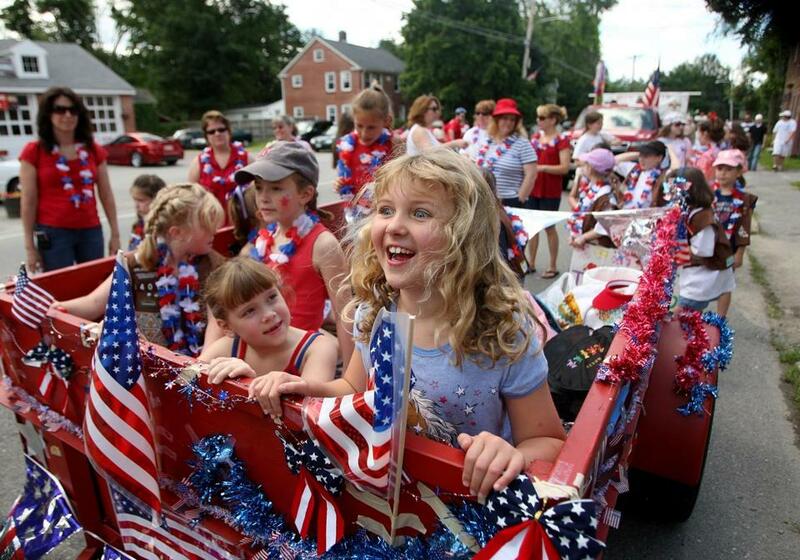 During AEO (An Evening Out) years, Ben-Hem hosts a float in the Town of Natick's Fourth of July Parade. All Ben-Hem students and families are invited to participate. The Holiday Fair is a great way to shop for unique gifts for family and friends in preparation for the holidays. We invite local artisans and vendors to purchase tables and sell their wears to Ben-Hem families and members of our community. In 2013, we combined the Artisan Marketplace with the Scholastic Book Fair and Frozen Treat Night to make a holiday shopping extravaganza. The Holiday Fair is more than just shopping. It is an opportunity for Ben-Hem students to get together and socialize. There are FREE crafts for students, a holiday card station to support the Red Cross "Holiday Mail for Heroes" program, and Frozen Treats to enjoy. The student activities are all located in the cafetorium so that they are separated from the community shopping. Visit the Holiday Fair web page for more information or if you are an artisan/vendor seeking to request space at the event.